Ronen is a Hebrew name derived from the word Joy. That simple, three letter word, more than aptly describes the beautiful, sensitive, thoughtful boy, who succumbed to depression at the far too young an age of fifteen. Ronen had a joy for life. He excelled at school, sports and drama. Whatever endeavour Ronen was into, he did it with an unbounded passion and broad smile. Summer camp was one of Ronen’s biggest joys and he often referred to it as the best place on earth. He revelled in the friendships he made at camp, at the feeling of being part of a community and the spirit and enthusiasm he shared with his fellow campers. Ronen also took joy in helping others. 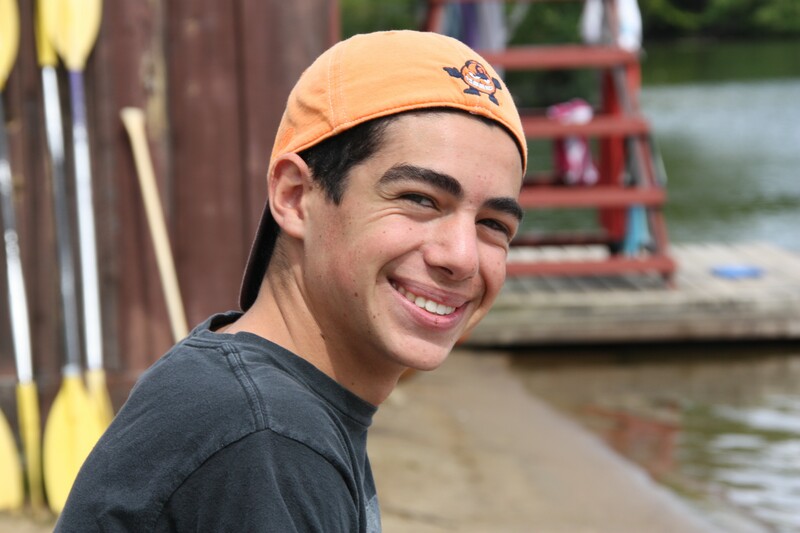 Whether it was helping kids with special needs at his camp, being a buddy to incoming grade nine students at his high school, or baking cookies to raise money for cancer research, Ronen gave his time and energy completely. A true friend to many, Ronen always had a smile and a kind word to those around him. He took great joy in exploring Toronto with his friends and seeking out places and fun things to do as recommended by his older brothers. Given the name joy at birth, Ronen made his life matter every day. Words can not express how much we miss our Ronen, our joy.